MILWAUKEE -- The Dodgers are headed to the World Series for the second straight season after defeating the Milwaukee Brewers in Game 7 of the National League Championship Series on Saturday. Los Angeles won by a score of 5-1. 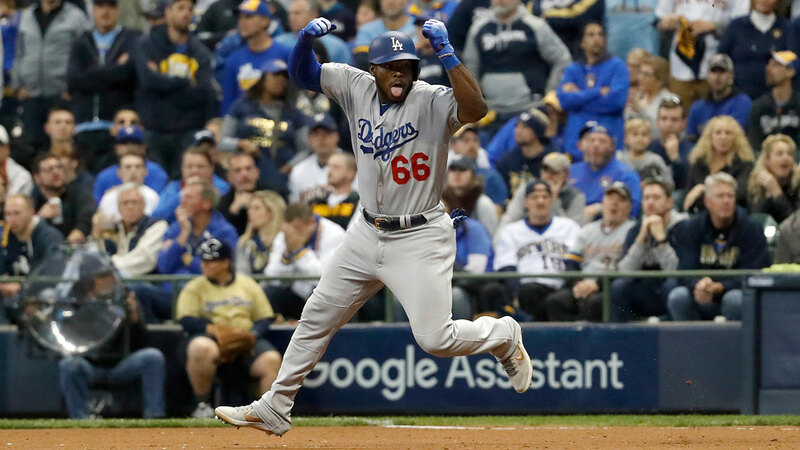 The Dodgers' Yasiel Puig delivered the game's biggest moment in the sixth inning when he hit a home run with two runners on base to give the team a 5-1 lead. The Dodgers first scored in the second inning when Cody Bellinger hit a two-run home run that put the Dodgers ahead 2-1. Los Angeles will play against the Boston Red Sox in Game 1 of the World Series on Tuesday. The Red Sox defeated the Houston Astros to reach the World Series. The Dodgers will attempt to win the franchise's first World Series since 1988. Share pictures or video of your Dodgers spirit using #abc7dodgers, and you may see yourself on ABC7!